Like so many game companies from the early '80s, Blitz Games was originally a small operation that later grew into the large companies we now know. Started by Philip & Andrew Oliver in 1981, success was first found with their "Dizzy" series, "Simulator" series and "Ghost Busters 2". More Recently Blitz has developed "Glover" and "Chicken Run". Blitz Games is now an official developer for all of the major platforms and have been signed on as an Xbox first-party developer. 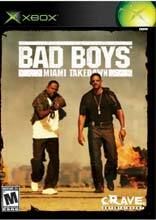 Mike Lowrey and Marcus Burnett of TNT (Tactical Narcotics Team) are back and oh so bad. Featuring all the fast pace and all-out action of the movie, itâ€™s your job to ensure that these TNT cops are not DOA! Somewhere on the streets of Miami, somethi.. Girls help Barbie and her friends find the lost horses missing from the local riding school in the first Barbie game for the Xbox video game system from Microsoft. Girls join Barbie on an action-packed, 3D horse riding adventure as they ride through ..
Holy smokes! "Da Rules" book (the ultimate guide to having Fairy GodParents) has disappeared and have left Cosmo and Wanda without their magical powers! Throughout this platform adventure Timmy will do the unthinkable by entering comic book world, ba.. The notorious Yosemite SamÃ¤ has captured Taz but with his indefatigable energy, it doesn't take Taz long to break free and become a fugitive on the run. 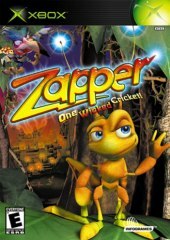 Playing as Taz, gamers must destroy all of the Taz Wanted posters and avoid capture by rushing, ..
Zapperâ€™s a cricket on a mission to save his brother. 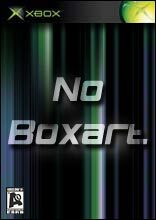 He must make his way through six interactive worlds, each with dangerous hazards he must avoid, eggs he must capture, meeting both friends and enemies that help and hinder his progress. In a grea..